This event is BOOKED OUT. For further trivia announcements, visit our Goodgod Trivia page. 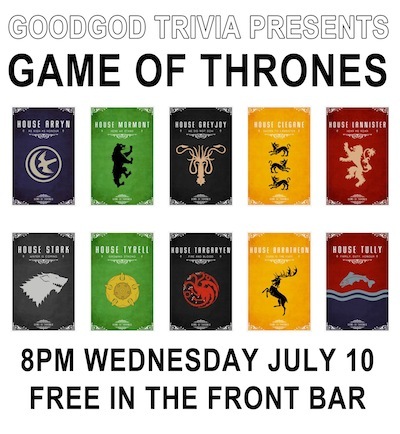 Come sing A Song Of Ice And Fire as we host Game Of Thrones Trivia with Zoe Coombs Marr! Rally your kingdom as the creatures of the North descend upon us this Winter!